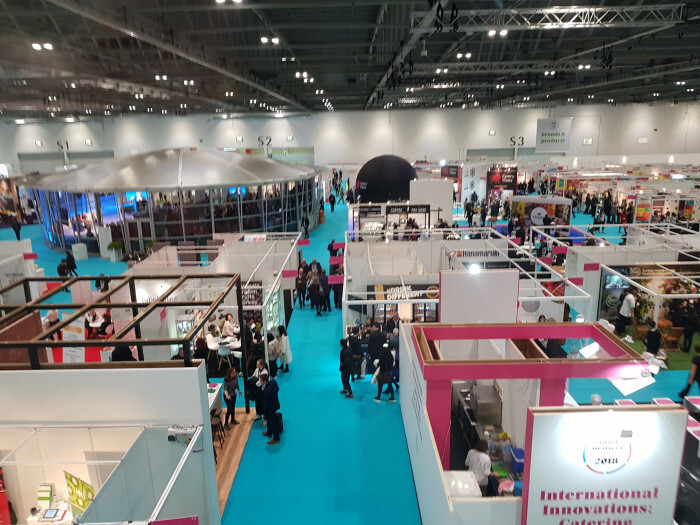 Last week Business Manager, Thomas Parkhill, attended Food Matters Live, a three day exhibition at the Excel in London. It is an event for the whole food industry from ingredients manufacturers through to final product companies and retailers. This year also saw an increase in the number of nutraceutical companies attending the show, showcasing their wares. As with previous years there was a strong focus on natural health ingredients with numerous companies discussing high protein options, including a number of products utilising insect protein. Much of the focus in the seminar discussions were on ingredients to improve nutrition, whether it was discussing elderly nutrition where an approach that targeted both joint health and sarcopenia was advocated or ingredients that are focussing on improving digestive health. There were various potential solutions for sugar replacements including oligosaccharides, pectin, sweet apple fibres and erthyritol, highlighting there is still a clear trend in this area. This show emphasises the drive both from the consumer and governments towards healthy eating across Western Europe.